The explosive growth of e-commerce in recent years is a double-edged sword. While it has created tremendous opportunity for retailers, that opportunity has likely enticed many competitors into the market. Consequently, shipping merchandise effectively and efficiently is more important than ever. With customers increasingly vocal about their purchase experience, if at any point complaints start to rise or your shipping ROI starts to fall, it’s time to reassess your shipping strategy. As everyone responsible for e-commerce business knows, shipping costs play a major role in determining a company’s profitability. If you aren’t getting merchandise to customers on time and undamaged, your financial results will suffer. Every hour spent on inefficient processes or responding to customer complaints about lost or damaged shipments cuts into your bottom line. Determine your goals and whether you are meeting them. How long should it take to properly pack merchandise? How many times should a box be touched as it moves through your shipping area? How many units should go out the door each day? It’s important to have well-defined goals and to continually assess your efforts in relation to them. Also, if your goals aren’t currently documented, take the time to write them down, discuss them with your team, and post them prominently in your shipping area. Review your shipping processes. Your standards for how merchandise is wrapped, padded, and secured within a carton have a significant impact both on how long it takes to prepare a package for shipping and the in-transit damage rate. Be sure you are doing all you can to minimize packing time while maximizing the protection of your merchandise. Assess your packaging materials. Are you using strong, lightweight corrugated cardboard cartons? Are you sealing your cartons with water-activated tape (WAT)? Your shipping team needs the right materials to do their job properly. Evaluate your shipping company. You should be looking at things like whether your contract should be renegotiated, whether the company’s errors are the cause of an unacceptably high number of customer complaints, and whether using one shipper or multiple shippers is to your advantage. Review your free shipping policy. Many e-commerce companies today offer free shipping, but it’s costly. If yours does, are you sure it’s a good strategy? Take another look at your books, your competition, and your customers to determine the right tactic going forward. It may be that a free shipping policy is crucial but that you can offset the expense in other ways. Inspect your packing station. Taking the approach that “if it ain’t broke, don’t fix it” may mean you are missing out on opportunities to improve the way you prepare cartons for shipping, and that can mean you are losing money on every package shipped! 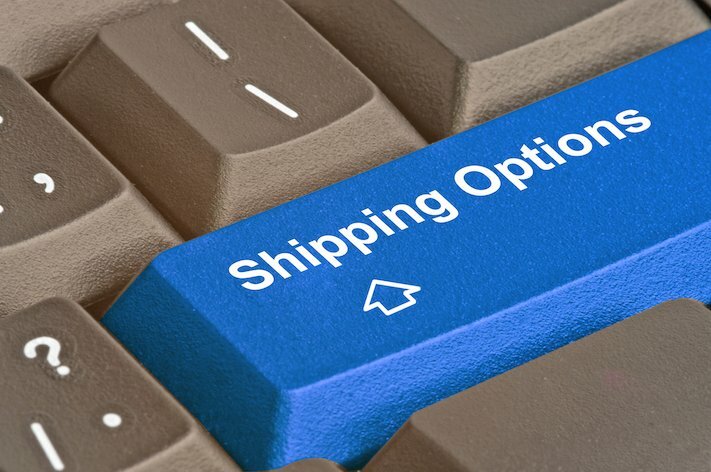 Do Your Shipping Practices Position Your Company to Capitalize on Growth? Forbes quotes Euromonitor International in saying that e-commerce is on pace to be the world’s largest retail channel by 2021, accounting for 14 percent of retail sales by that time. If your company offers quality merchandise backed by effective shipping practices and support, you are well-positioned to capitalize on this growth. But the time to evaluate and optimize your processes is now so that you stay ahead of the curve. Companies that choose not to act on their product fulfillment issues until “crunch time” will likely pay a hefty price, both financially and in terms of customer loyalty. If you have questions about how our water-activated tape and water-activated tape dispensers can play a role in your successful shipping operations, please contact us at your convenience.